Description: The Department of Neurology diagnoses and treats patients with disease of the brain, spinal cord, nerve or muscle, including stroke, neuromuscular diseases, headache, dementia, epilepsy, Parkinson's disease, multiple sclerosis, Huntington's disease and muscular dystrophy. Electroencephalography (EEG) and electromyography (EMG) studies are available to assist in neurologic examination and assessment. ** NOTE: Bowen, Angela NP-C does not allow online appointment scheduling. Search for any Collom & Carney Clinic Physicians by specialty or search by Physician name to find out how to contact him or her. The Collom & Carney Physicians and Services Directory provides detailed information about the departments, subspecialties, medical staff and physicians within the Collom & Carney Clinic Association. 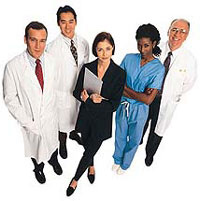 This site is intended to help you quickly locate a particular physician or contact phone number. ervices such as comprehensive care for patients with cardiovascular disease, skin diseases, skin cancers, focus on prevention and health maintenance, gastrointestinal disorders, renal diseases, nerve or neuromuscular diseases, healthcare for women, eyecare, pediatrics, radiology, surgery, and many more. © 2013 Collom & Carney Clinic. All Rights Reserved.